ARPA Canada exists because we care. We care about our nation, our communities, our families, and our freedoms. Most of all, we care about what God says is good and right. Jesus Christ told us that the greatest commandment is to “Love the Lord your God with all your heart and with all your soul and with all your mind” and to “Love your neighbour as yourself.” How do we show love? By living our lives in devotion to Him. Carved above a window on our Parliament buildings are the words from Proverbs 29:18 “Where there is no vision, the people perish.” Canada is perishing – both physically and spiritually – because we have turned our back on God. We have lost our vision. Many of our leaders think that they can lead without believing in objective truth. As a result, Canada is following an evil course where we are worshiping ourselves, our own choices, and our own rights. This has led to the death of millions of lives and untold suffering and hurt. Canada needs the message of truth and hope from God’s Word to steer us and guide us. Yes, we believe religion and politics can mix. Indeed, they inevitably mix. Right now, the religion of secular humanism is guiding Canada. We hold to a different vision, a vision that comes from the God who made us, redeemed us, and sanctifies us. Click here for ARPA’s Core Principles. By calling ourselves the Association for Reformed Political Action we want to emphasize two things. 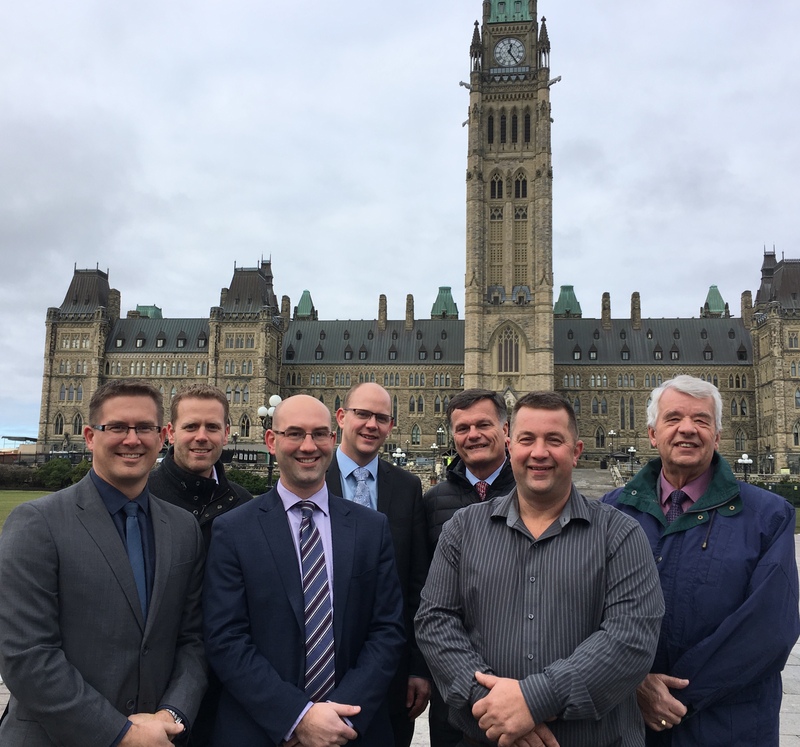 First, the work we are doing is directed primarily toward Reformed churches in Canada because we believe that there is a pressing need to encourage political action among our churches. Second, in harmony with our Reformed theological tradition, we are grounded by our faith in the truth and authority of the Bible, also as it is summarized in the Three Forms of Unity, and believe that the Lordship of Jesus Christ must apply to every sphere of life, including politics. Some of the denominations that we will direct our activities toward include the Canadian Reformed Churches, Free Reformed Churches, Heritage Reformed Churches, Orthodox Presbyterian Churches, Presbyterian Churches in America, Reformed Presbyterian Churches, and United Reformed Churches. However, we are grateful if others can benefit from this work as well. 3. Working together: The reality is that ARPA works very closely with many other Christian organizations, pro-life organizations and even non-Christian conservative organizations (and even, though very rarely, non-Christian, non-conservative organizations!) The list of people we meet with regularly is quite long. The reality is that many groups exist in this country doing this kind of work, with their own philosophical/religious/cultural basis and audience, and then they come together to work with others to advance a common goal. We do the same, and we really are not much different from most other groups in this regard. Furthermore, our materials are available for whoever is interested in using them. For example, our legal talking points on a problematic education law in Manitoba was used by all kinds of Christians there including Mennonites, Catholics, Pentecostals, Baptists and other Evangelicals. And our work at the Supreme Court of Canada on the Loyola case has us leading the charge while representing 314 different Christian schools from across the country representing a wide range of Christian traditions. We believe that there is a real shortage of Christian political action in this country and more groups and initiatives are needed. Furthermore, we see the need to convey a more optimistic perspective to our nation than what is sometimes associated with Christian political action. Our goal will be to shine as a light – to show the rich blessings of a thoroughly Biblical perspective on political issues and why this is favourable for our secular country. 4. Conclusion: Our work is actually benefitting more than just the Reformed community, especially because it is uniquely Reformed. If it didn’t have that flavour, we wouldn’t really have a reason to exist. We’d just amalgamate with one of the other established Christian groups. But our solid foundation, our engaged local groups and our motivated communities are exactly what makes ARPA beneficial to Canada. Click here for the ARPA staff listing. ARPA Canada is under the direction of a board which has members from BC, Alberta, and Ontario. The Reformed church community has a history of political action and involvement in Canada. Already in the 1970’s local groups formed in churches and became known as ARPA’s (Association for Reformed Political Action). In 2000, an effort was made by the Reformed Perspective Foundation to encourage new ARPA groups. Through the coordination of Peter Veenendaal, a number of ARPA’s were started in towns and cities across the country. Some of these groups continue to be successful in encouraging awareness and action. However, since that time, some of these local ARPA groups faded away. It was apparent that there was a need for coordination and support among the groups that existed. Furthermore, there was also a need to mobilize individuals who were not part of ARPA groups to care about what was going on in Canada and to be equipped with the tools to respond. Because of this need, the Reformed Perspective Foundation approached Mark Penninga, in the summer of 2007, to reinvigorate political action in the Reformed churches. After some talks, it was decided that a new not-for-profit organization would need to be started, which must be separate from the Reformed Perspective Foundation and which must have a new vision. As a result, ARPA Canada was formed. In communities across the country there are groups made up of members of Reformed churches that work to promote political awareness and action within their community. Although independent of ARPA Canada, all of them may benefit from the resources and coordination of ARPA Canada if they desire. Local groups make a very valuable contribution to their communities by providing things like news, guest speakers, letter writing evenings, meetings with government officials, and motivation for church members to get involved in political issues and events.